We at Champlain Database Designs are experts at running Datapoint RMS systems and writing Databus programming code. We have used the equipment since 1975 and have seen virtually every hardware, operating system, and language upgrade for over three decades. Should you find yourself in need of true experts regarding Datapoint systems, we might be the people for whom you're searching! 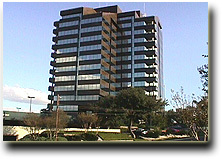 Although much of the original Datapoint Corporation has been bought and moved to Europe, Datapoint USA still owns the rights to RMS and Databus and maintains offices in San Antonio, Texas. We maintain relationships there and routinely purchase hardware and software upgrades on behalf of our clients. Call us if you think you might use our services.